Bead the center panel and hang from a strung necklace or use the strap graph provided and bead as a choker. Which ever you choose you will be "proud as a peacock" when you are finished. Panel could be finished as a Necklace, choker or whatever you choose, finishing details are not included. 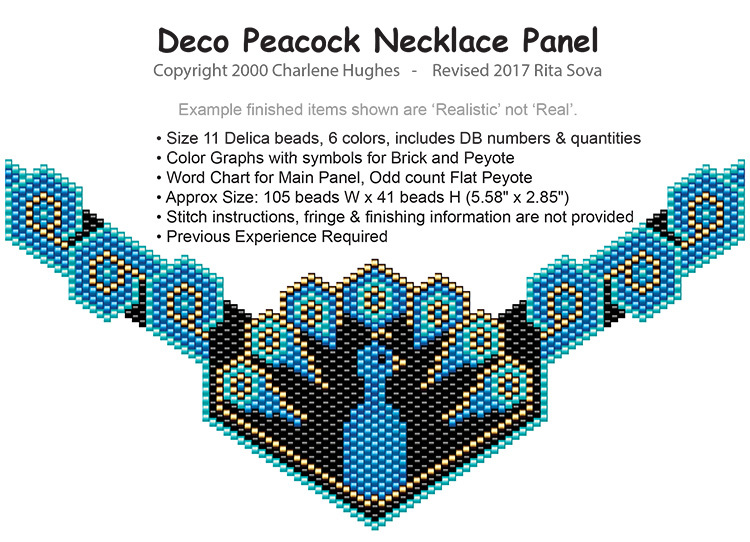 A matching bracelet pattern is also available; Peacock Deco Bracelet.